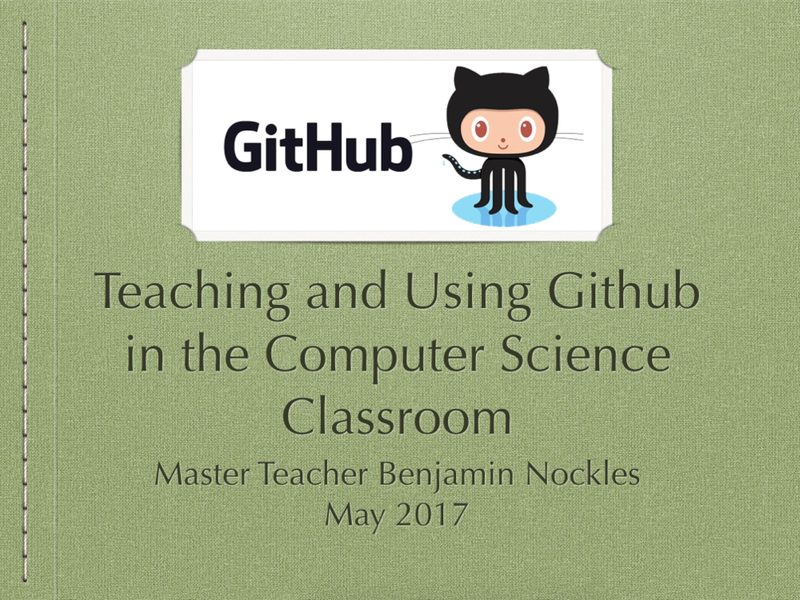 May 1: How does Github work? How do you set it up? May 15: How do you collaborate with Github? How do you share code with Github? The keynote from the 2017 workshop. Eclipse is an IDE. It Is not the only tool through which you can use Git, but it is the one I have the most experience with and am familiar with troubleshooting, so we are using it for this workshop. This article summarizes everything we did in the workshop, from the explanation to usage in the classroom. These are links to student repositories of projects completed in AP Computer Science A. The "Github Setup" is exactly what my students work off of after I have explained what Github is and we are setting up repositories for the first time. The "Cave Explorer Tutorial" is designed for the teachers in tis workshop and takes you through each step of the activity at our second meeting.